RACE DAY IS SATURDAY MAY 25 WITH A 1:30PM START. PLEASE CLICK THE PINK LINK BELOW TO REGISTER. PLEASE NOTE THAT THERE ARE NO REFUNDS AND REGISTRATIONS ARE NOT TRANSFERABLE. RACE INFORMATION. PLEASE READ THIS INFORMATION THOROUGHLY AS THE FORMAT TO THIS EVENT HAS CHANGED. 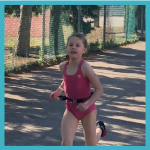 Please note: as per Triathlon Ontario, participants will be placed in the age category as per their age on December 31, 2019. This event is for all ages from 3 years old to Adults. A Splash and Dash is a SWIM-RUN event. There is no transition area for a Splash and Dash. Your Bib which you will receive at race kit pick up will tell you exactly what time to report to the pool deck. Entrance to the pool will be on the North side of the building by the playground. You may also go thru front entrance of the Community Centre. Both options will be early marked. Please note that it is the athlete’s responsibility to report to the pool deck on time. Your individual time to report to the pool deck is clearly indicated on the back of your bib. 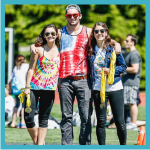 For our Splash and Dash you will bring your goggles, running shoes, socks (socks and goggles are optional), shirt, and bib, into the pool area. Whatever you will run in, bring into the pool deck. Make sure your bib is fastened to your shirt prior to entering the pool deck. Pins are in your race kit. After you swim you will dress on the pool deck and exit the pool’s North exit ready to run. Items left on the pool deck like your goggles will be taken to the finish line and placed on clearly marked tables. You can retrieve these items directly after your race. We will have volunteers take these items to finish area after each wave. No gym bags or large towels on the pool deck. If you must bring a towel it cannot be bigger than a tea towel. This is for safety to avoid tripping hazards. All swims are in the Birchmount Park Community Centre pool. The pool is indoors. Life jackets are offered and available to all athletes. This is a rain or shine event. Please dress accordingly. All runs are on a fast flat 1 km loop or shorter. Age group wave starts. The order is youngest to oldest. First wave starts at 1:30PM. This is a timed event. Overall times only. No individual age group awards. Kids 3-5 are not timed. 3-5 must have one adult accompany them thru out the event. On foot only. 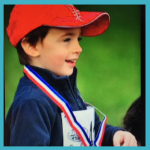 All participants receive a finisher’s medal, T-shirt, race kit and a post race snack. 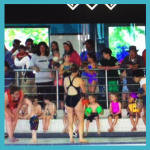 Spectator viewing for the swim portion of our event can be accessed from the main lobby of the Community Centre. When spectators exit the viewing area, go out front doors, turn right and walk around North side of Community Centre to run course and finish line. Age Specific Distances: PLEASE NOTE DISTANCES ARE APPROXIMATE. 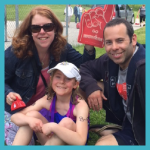 Please include your personal Valid 2019 Triathlon Ontario membership number when registering. If you are not a member you pay the higher fee so we can submit your one day event insurance to Triathlon Ontario. Friday May 24 from 4:00 – 8:00 p.m.
Saturday May 25 from 11:00-1:00 KITS ARE NOT AVAILABLE AFTER 1pm. If your child is in the 3-5 category please come at between 11 and 12 so they do not miss their wave. Course tours are highly recommended for all participants to familiarize your selves with the course, distances and venue. Although our course has many volunteers to direct athletes, we highly recommend that you come for a look on Friday, as there will be no course tours on our event day. As adult races, volunteers know their own responsibility’s but do not necessarily know the full course overview. Full event overview is given Friday only. Course tours also are the time for you and or your children to ask all of your questions. Tours will detail what to expect race morning, and how to get your self organized. All questions will be answered so you feel confident and ready for the next day! by the Race Director. The parking will be open at the Centre for the course tours as well as race day. We will close registration at 6pm on Wed May 22. It is at that time when we know how many participants we have. Then we can begin to schedule youngest to oldest (3-5, then 6-7 etc) in waves of 12, with time in-between each wave to keep things organized and course re sets for different ages. Last year the last wave entered the pool 2hrs and 38 minutes after the events start time. We expect this year to be similar. When you come to pick up your race kits on May 24, between 4-8 you will be given your exact time to report to the pool deck. The timing is always precise, but we cannot give you times until Friday May 24. Please do not mail in advance for start times. Birchmount Community Centre- The entire parking lot will be open with the exception of a section of the North lot. PARKING ELSEWHERE MAY RESULT IN YOUR VEHICLE BEING TOWED AT YOUR EXPENSE. THANK YOU. 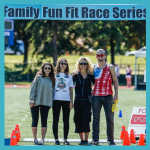 EVENT PHILOSOPHY: All Family Fun Fit events focus on fun and participation. We strive to put on well organized events that celebrate fitness, good health and the joy of movement in a non competitive environment. 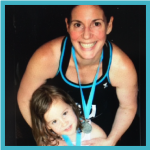 We believe fitness should be fun and for life!